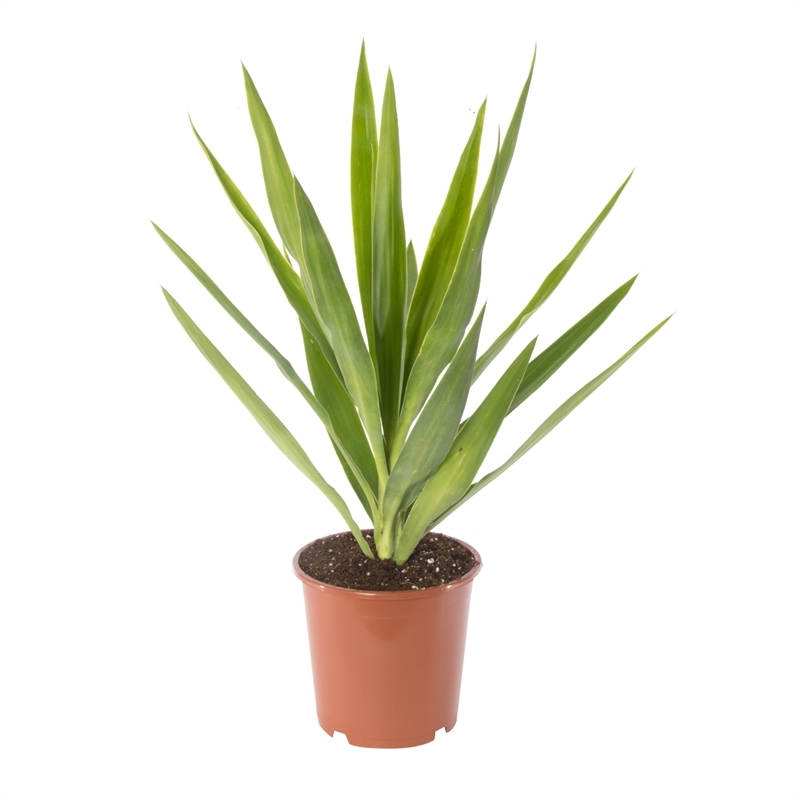 Grown for their bold, handsome shape, Yuccas feature tall, woody trunks ending in a crown of long, sword-shaped leaves. This hardy, clump forming plant is ideal for use in sheltered and sunny courtyards, rockeries, pebble garden, seaside gardens and other hot, dry spots. 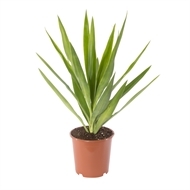 Yuccas adapt well to indoor and courtyard container planting, even in cool areas. Originating from South America, they are particularly drought tolerant.